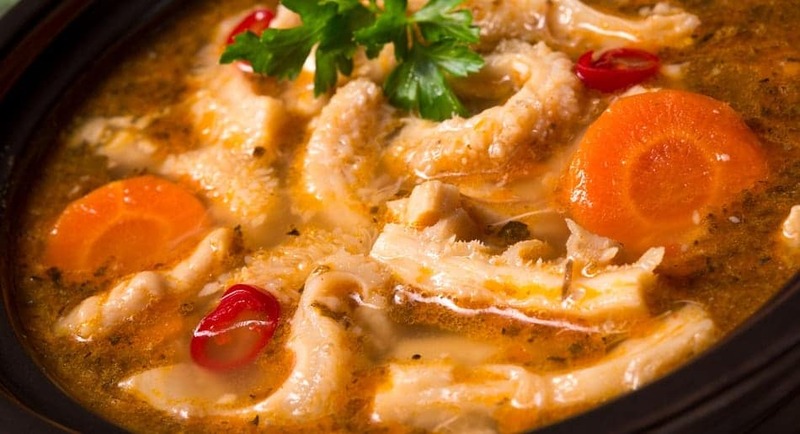 Tripe is made from the lining of animals such as cows, pigs or sheep. In England, tripe is blander than it is in France because it has been bleached first. “Green Tripe” has not been blanched and bleached. Green Tripe smells like dog doo. Tripe is sold as fast food from mobile food stalls in Italy. It is also eaten in Europe.